HONG KONG - More than 100 communications professionals attended the most recent Hong Kong PR Network meeting to hear from pro-democracy activist Joshua Wong and Tom Sims, Asia business editor of The New York Times. The event explored how communicators can gain public support for a cause using the latest platforms and practices. 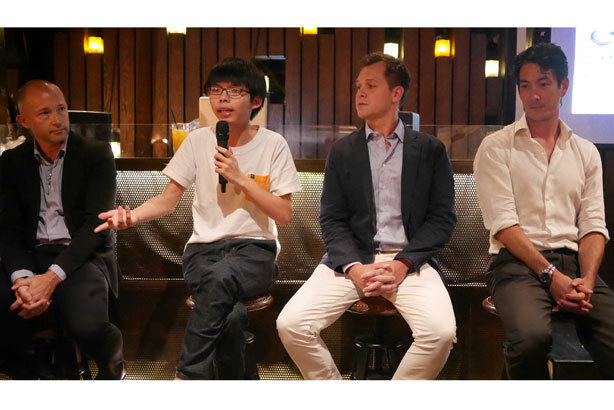 Eighteen-year-old Wong, who founded the student activist group Scholarism and was last year named one of Time magazine’s top 25 most influential teens, and Sims were joined for a panel discussion by Edelman regional director of CSR Ashley Hegland and marketer and producer Tony Verb. The importance of digital communications was emphasized by Wong, who stated: "Without Facebook there would be no Occupy Central, without Facebook there would be no Joshua Wong. It really was that simple. We set up hashtags and encouraged people to share images such as themselves wearing black T-shirts or carrying yellow umbrellas. Within just a week we had over 30,000 followers on Instagram." Sims agreed, stating that an organization would not receive rapid public support without the use of digital. However, digital success is dependent on a coherent strategy. "It isn’t enough to just spread a message and expect an audience to appear," he said. Relevance also plays a crucial role, said Verb: "If you’re trying to share a message across the world, you need to make sure the message is just as relevant for person in Hong Kong as it for someone in the US." Hegland meanwhile emphasized that passion and purpose were key factors when communicating: "Consumers want to know where your ingredients come from; how sustainable is the packaging of your product; does your company support fare wages for all workers. These factors make today’s businesses stand out,’ he added. Everyone on the panel agreed it was possible. But more importantly, they all stressed that digital was key to spreading a message. The panel told the packed audience to remember one rule in any tactic—keep the message simple. When it’s simple, it’s easy for everyone to understand your purpose. When it’s simple, it’s easy to tailor the message later for different groups. When it’s simple, you create a call to action everyone can remember." For more information about the network contact Doumbia. Just "a little artistic exaggeration" or raw racism?